On the first day of school at Kennedy Elementary, I arrived at school forty-five minutes early. I was terrified. My heart was beating out of my chest. Questions plagued my thoughts: about my readiness, my ability as a teacher, and whether or not my students would enjoy their first year-especially with their first-year teacher. The biggest, looming question was this: am I cut out for this? Little did I know that I was embarking on the best, most glorious adventure of my life. The past few weeks have left me incandescently happy. My education and experiences at Utah State University had me more prepared than I accounted for. The moment my students stepped into our classroom, I completely fell in love with my profession. Their shining, eager faces keep me beaming every moment of the day. Despite my best efforts, the “afternoon slump” hits my kiddos nearly every day. Instead of intently listening to my riveting lesson on essay formats, paragraph structures, and the beauty of the written language, their eyes glaze over and they tune out completely. However, I discovered a website to solve this problem. Go Noodle has invigorated my students during the afternoon slump and has helped them refocus on my lessons. Once signed up as an educator and have created your class, you get to choose between a variety of options. The categories of videos the students are able to participate in are: dancing, free movement, stretching, sports and exercise, kinesthetic learning, coordination, and calming. Each video gets the kids up and moving, and they love it! 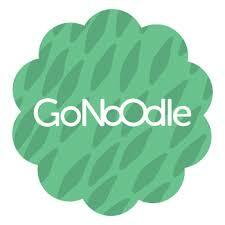 I’ve come to use Go Noodle regularly, and my students look forward to it each day. I’ve loved how, following the videos, I can return to teaching and have twenty-two intent listeners that are ready to learn.